Baltic Ground Services (BGS), an international provider of ground handling, passenger service, and aircraft fuelling has announced the establishment of a new company in Ukraine. BGS belongs to Avia Solutions Group, the largest aviation company in Eastern Europe. Through the establishment of the new company, BGS Rail has opened the door to cooperations with other logistics companies in this region. BGS Rail leases, short-term and long-term, general-purpose open open-top wagons with hatches for the transportation of coal, ore, rubble, rolled metal products, wood, etc. The company has already invested approximately 7 M EUR (8 M USD) in the new company. At the moment, the company owns a fleet of 362 open-top wagons with hatches. The railcars are capable of carrying up to 63 tonnes. “After a thorough analysis of the Ukrainian market, we found the perfect opportunity for our company. BGS has experience in logistics as we already offer liquid ADR logistics. With hard work, flexibility, and experience we have become well trusted among our clients and many major players in the aviation industry. Our affiliation with such a strong and international Group company has also helped us in many ways,“ comments Linas Geguzis, CEO of BGS. 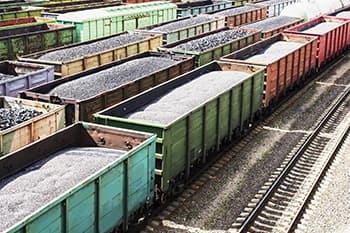 BGS Rail has closed 3 deals with rail freight manufacturers in Ukraine. At the end of October, the company will add 113 brand new rail freights to its fleet. In the near future, BGS Rail plans to buy rail freight and parts from China. BGS is not a new player in the Ukrainian market. “BGS UA” provides fuelling services at the Kyiv, Boryspil, Lviv, and Odessa International Airports.